The results of a recent study conducted for Kaiser Permanente analyzed physicians’, health reporters’ and Congress members’ social media discussion of certain prevalent diseases. Of the diseases identified in 2.3 million tweets over a three-year period, diabetes and cancer topped the list for physicians; HIV/AIDS was first for those in Congress. While the causal agent of Lyme disease found its way onto the popularity list in policymakers’ tweets, there was no mention of Alzheimer’s disease by doctors or legislators. The study was meant to look at how such groups communicated about national health policy and how they addressed major health threats. The study is a digital demonstration of the ostrich-like pose important constituencies have taken for far too long when confronting Alzheimer’s—one of the most dreaded diseases of this century. While the 3,200 doctors and 458 lawmakers observed as part of the study may spend too much time on their smart phones, their 140 keystrokes spoke volumes about what captures their attention. The National Institutes of Health (NIH) budget database reveals that $3 billion is spent on HIV/AIDS research annually—an investment that has paid off in reduced mortality and healthcare costs. This is in contrast to the slightly less than $500 million spent on research into Alz-heimer’s disease, which we know is fatal. A May 2011 editorial by Golde and colleagues in Alzheimer’s Research & Therapy (3: 2011; doi:10.1186/alzrt76) estimated that on a per-person basis, funding for the 1 million people with HIV/AIDS was 23 times greater than that of funding for the more than 5 million people with Alzheimer’s. When that editorial was published, approximately $450 million had been spent on Alzheimer’s disease. A slight boost of $50 million in funding the year after publication can be attributed to the hard work of people with Alzheimer’s, their families and advocates who fought for the passage of the National Alzheimer’s Planning Act (NAPA) and its implementation by the Department of Health and Human Services. They did this by bringing much needed visibility to this disease in Washington, D.C., at a time of tremendous scientific potential. The National Plan to Address Alzheimer’s Disease that was produced because of NAPA included a goal to better treat or prevent Alzheimer’s by 2025. Many public and private stakeholders refocused their attention on not only calling for more federal funding to speed drug development, but also capitalizing on ways to leverage existing resources to accelerate new therapy testing. At the NIH, in addition to the annual investment made by the National Institute on Aging in understanding the molecular pathogenesis and physiology of Alzheimer’s, the battle against the disease is now supported through initiatives in the Common Fund High Risk High Reward (HRHR) research program. This program focuses solely on innovative science using unconventional approaches. The NIH is funding investigators through the HRHR program to examine the role of the brain’s innate immune system in the development of Alzheimer’s; to create a vaccine eliciting a strong immune response that could be used to develop an Alzheimer’s therapeutic; and to use synthetic biology and nanotechnology to treat the mechanisms underlying amyloid-associated diseases. Research efforts to translate scientific findings into applications are also underway at the NIH’s newly established National Center for Advancing Translational Sciences (NCATS). In May 2012, NCATS launched their “Discovering New Therapeutic Uses for Existing Molecules Initiative.” It couples a partnership between NCATS and several pharmaceutical companies with a $20 million grant program to investigate existing drugs that may be repurposed to treat diseases other than those for which they were originally developed. 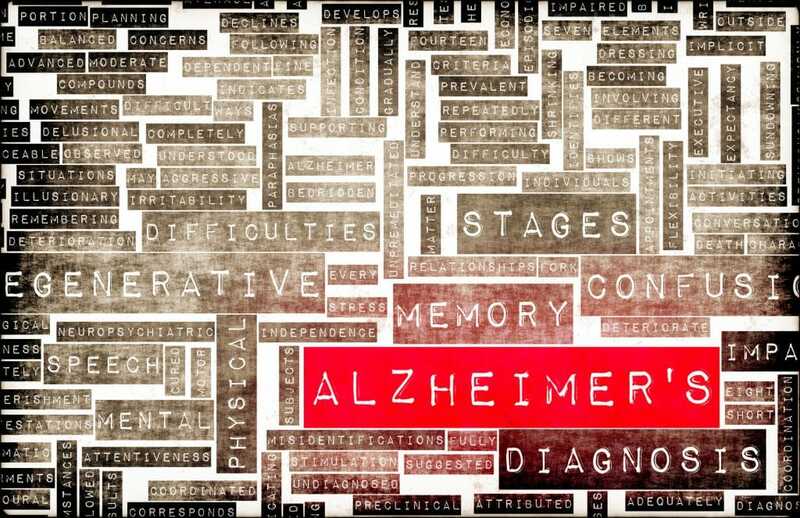 Such initiatives could provide opportunities to get treatments to people with Alzheimer’s sooner. Drug screening, modeling and simulation are other focuses for NCATS. The NIH also is supporting new grants to develop iPS cells (induced pluripotent stem cells) for use in Alzheimer’s. Another promising NIH program is a recently funded clinical trial that examines intranasal insulin as a possible Alzheimer’s treatment. Since NAPA’s passage, NIH Director Francis Collins has said numerous times that there are opportunities to make strides in this disease, partly because of new mechanisms and technologies unknown to us four or five years ago. This is positive news, however, times are extremely challenging for the NIH. Under sequestration, the NIH is forced to cut spending by 5 percent at each of its 27 institutes and centers. 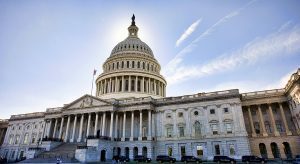 While the NIH is acting to mitigate the effects of these cuts, initial analysis anticipates some grants and cooperative agreement awards will be affected. Plans for new grants or cooperative agreements in fiscal year 2013 may be re-scoped, delayed or canceled. Lawmakers who are responsible for providing funding to support the exciting science conducted through the NIH need to be reminded that as the science of Alzheimer’s is expanding, so are the numbers of people who are at greater risk of developing the disease. With direct costs of care for people with Alzheimer’s topping $200 billion in the United States, they cannot afford to leave the NIH with depleted coffers. Cynthia A. Bens is vice president of public policy at the Alliance for Aging Research in Washington, D.C.
Editor’s Note: This article appears in the May/June 2013 issue of Aging Today, ASA’s bi-monthly newspaper covering issues in aging research, practice and policy nationwide. ASA members receive Aging Today as a member benefit; non-members may purchase subscriptions at our online store.